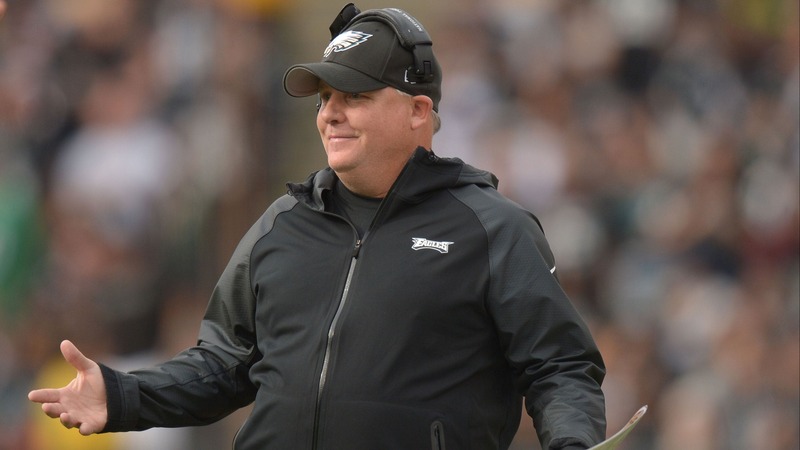 There was a lot of intrigue when Chip Kelly left Oregon to bring his high-octane offense to the Eagles. Thanks to a recent clip in which Kelly was mic’d up during a game, we now know his exact offensive philosophy. Speaking of Kelly, he also dropped a great "Beverly Hills Cop" reference during his press conference on Thursday. The list of the 10 best-selling NFL jerseys of 2013 has been released and, somehow, the Dolphins quarterback made it. Robert Griffin III bought Xboxes for his offensive linemen for Christmas. Russell Wilson bought Xboxes for his entire offense for Christmas. It’s impossible not to love this video of a kid protecting his little brother from Kevin Garnett’s potty mouth during the Nets’ Christmas Day game against the Bulls. You’ll want to carve out 15 minutes over this weekend to watch the best news bloopers of 2013. * Jose Canseco is in trouble for having goats on his property. * This dad couldn’t handle the excitement of getting Cotton Bowl tickets for Christmas. * A Philadelphia radio station is trying to taunt Cowboys owner Jerry Jones with a billboard. Since we haven’t posted a Big Buzz over the past two days, we’re giving you two Fox-y Ladies for the price of one. We close out the Christmas week with these holiday photo shots from models Shelby Chesnes and Shawn Dillon.